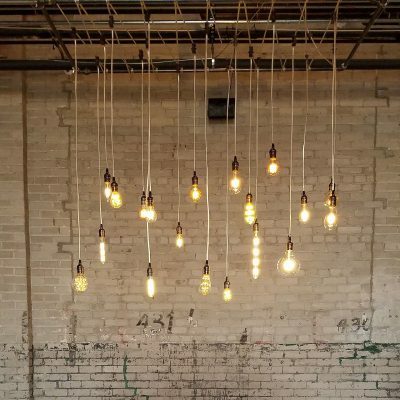 Our custom made Edison bulb chandelier will add a rustic look to any event. Whether your event is modern or vintage, this unit will work. This chandelier was fabricated in house and uses 100% LED bulbs that still provide the vintage filament look. This unit requires professional installation. Please inquire on install pricing. 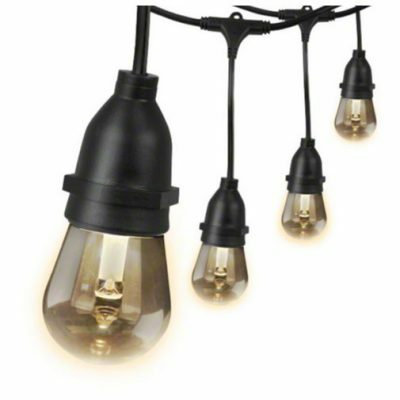 Our Edison LED Style string lights enhance any indoor or outdoor event. Add these to your event for a spectacular site above your heads. Light color can be changed from Antique White to Green, Red or Blue.